Yesterday marked the formal launch of the Max Planck Florida Foundation, a fully-accredited nonprofit 501 (c) (3) organization that will serve as the philanthropic arm of the Max Planck Florida Institute. The foundation is charged with raising funds to support the scientific mission, objectives, and programs of the Institute. Dr. Claudia Hillinger has been appointed president of the Foundation, and in this capacity will provide leadership to both the Foundation and to the Institute’s extensive national external relations program. 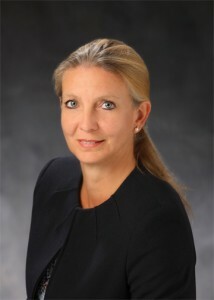 She previously focused not only on setting up the Germany-based Max Planck Society in the U.S., but was also involved in the design and implementation of the construction of the 100,000-square-foot biomedical research center and laboratories, scheduled for completion in early 2012 on Florida Atlantic University’s Jupiter campus. “The Max Planck Florida Foundation not only provides us with a defined program to accept philanthropic support from individuals, corporations and foundations around the nation, but also with the ability to ensure our donors that their gifts will be utilized for the purposes for which they were given,” Hillinger said. Earlier this month, the Max Planck Florida Institute said it recruited David Fitzpatrick from Duke University as CEO of its Jupiter campus. For more information, visit www.maxplanckflorida.org. Germany’s Max Planck Society has led the world in advancing the frontiers of scientific research for more than 60 years. The independent, nonprofit organization, with its international staff of around 20,400, including research fellows and visiting scientists, has an annual operating budget of $1.8 billion. Named for the 1918 Nobel Prize-winning physicist and founder of the quantum theory, Max Planck, the scientific institution maintains 80 institutes and research facilities located mainly in Germany, but also in Italy, Netherlands, and now in the United States. All are focused on exceptional, results-oriented basic research in the life sciences, social sciences and the humanities.